Well what a way to kick off the festive period than to visit Stockeld Park; from the moment you pull up in the car park you can hear Christmas music and see twinkling lights and from then on in, it doesn’t disappoint. We hadn’t visited Stockeld before and so had no preconceptions of what the day would be like other than the very informative website that we researched to plan our visit. All very excited, it was a quick vote to hit the ice rink first, as we had an hour spare before Santa’s arrival parade in the Enchanted forest. I was a little worried that we would have to queue for skate hire, penguin hire, or queue to go on the ice but there were no queues and it all went quickly and smoothly. 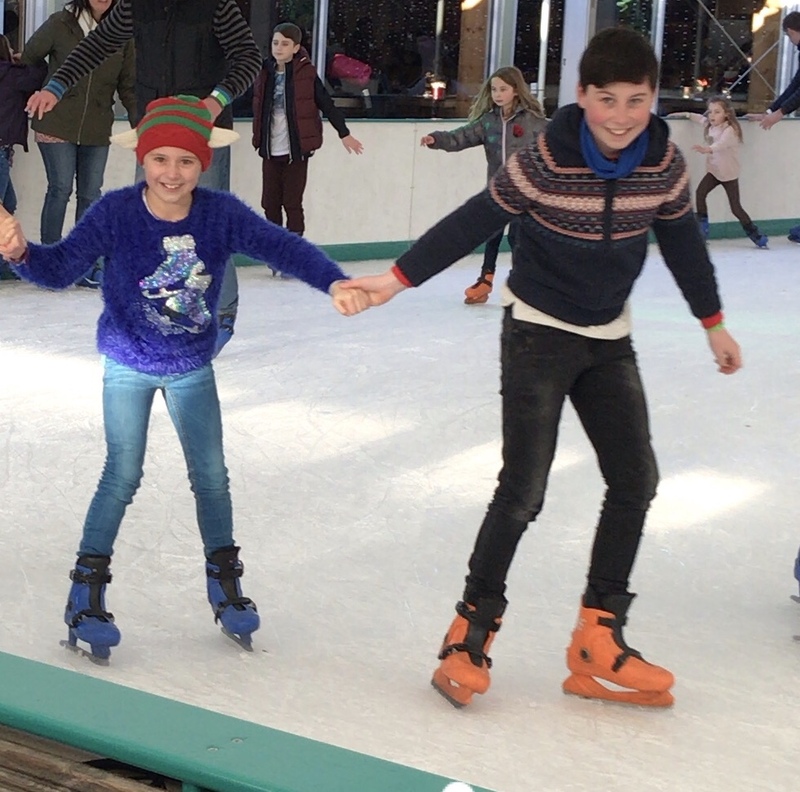 The staff were very helpful at skate hire and the kids were gliding (albeit not very graciously!) in minutes of arriving. 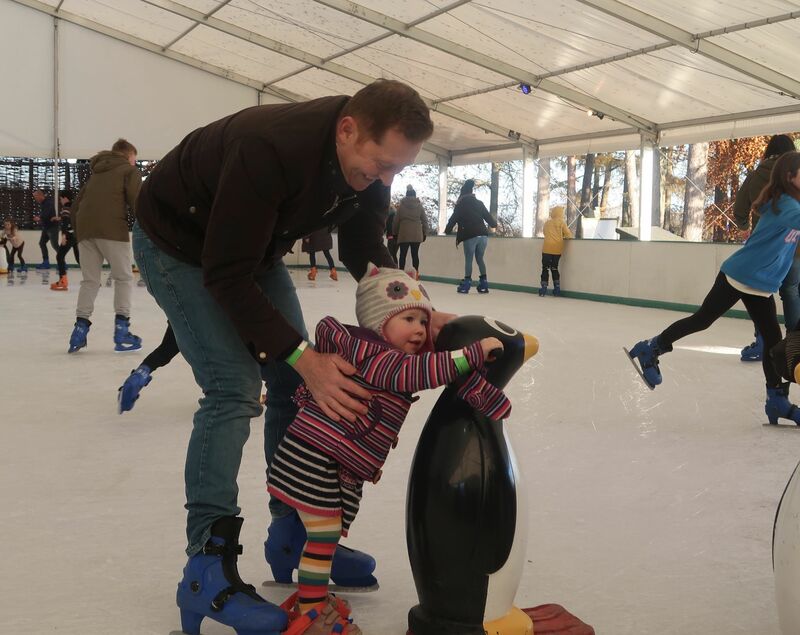 For little ones there are special skates to go over shoes and penguins to use, so even little Florence (aged 2) got a little turn on the ice. It’s also handy to note that their ice rink is now fully covered, so you’re protected from the unpredictable Yorkshire weather. 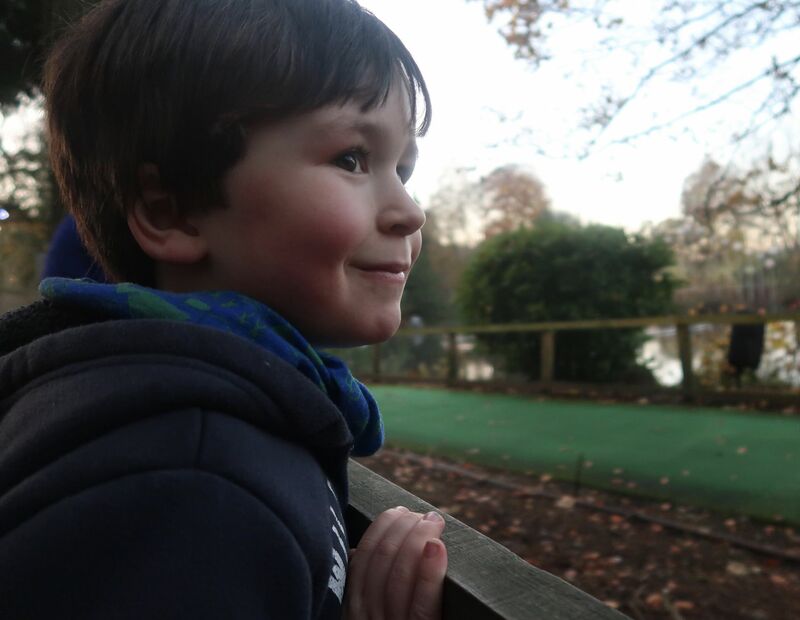 We then went exploring into the Enchanted forest, of which for our family was totally up our street, as there are numerous adventurous wooden play park with wooden bridges, slides, climbing nets and zip wires perfect for our adventurous kids, it even pleased our parkour loving 12 year old. 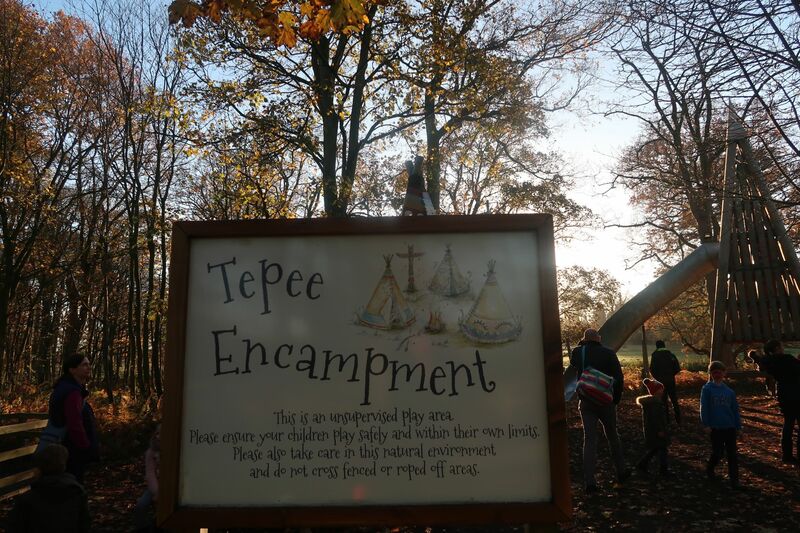 Throughout the forest loop are lots of hidden surprises and interactive corners to be found which are also really engaging for toddlers. 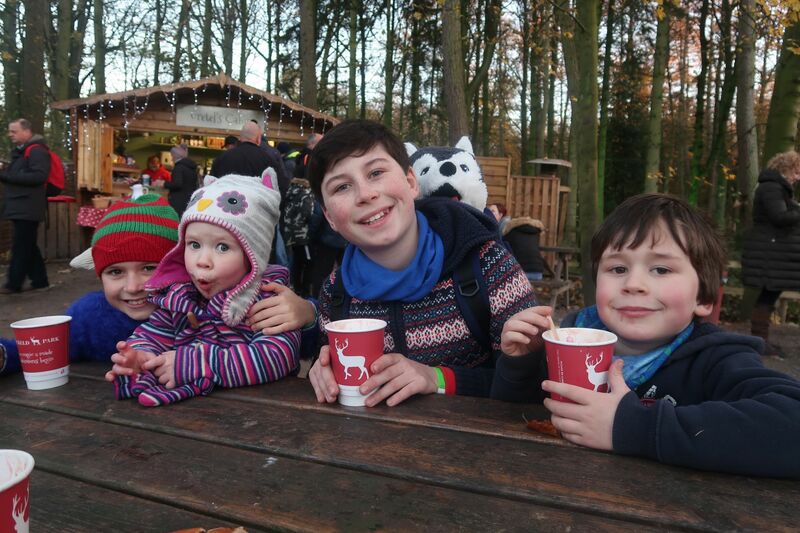 The woodland is really beautiful by day and Gretel’s Cabin lakeside woodland cafe provides a welcome hot chocolate break and good spot to wait for Santa to ride past. Teddy’s face when he saw the real reindeer come past with Santa waving was priceless. As darkness fell we looped back through the forest, this time the kids and Daddy travelled on the nordic ski track. I had my doubts at first that Teddy aged 5 would manage the 1.2km trail but he had a fantastic time chatting and sliding through what he described as ‘The Enchanted Wood’ from the Magic Faraway tree stories. To see the wood come alive at night with all the fairytale sculptures illuminated was truly magical for us, let alone the children. This was definitely the highlight of our day and very much made Teddy’s week! We attempted the very impressive illuminated maze next but as always our one child that likes to go wandering off, wandered off! Thankfully with the help of the look out stations we quickly located her and then decided we were all a bit too tired and hungry to explore deeper into the maze. 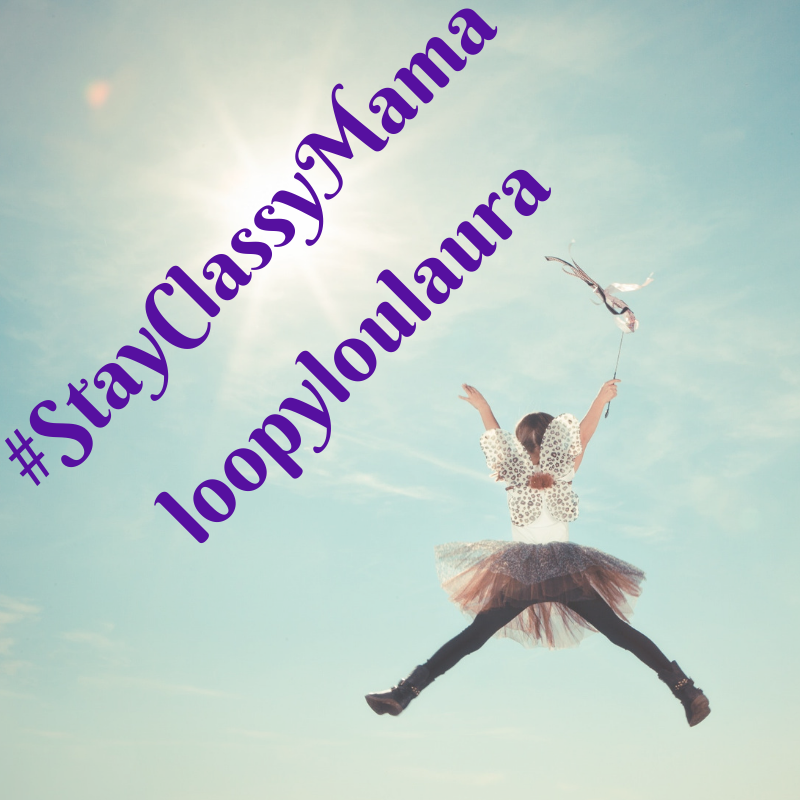 Plus we kind of wanted to make sure our wanderer remained with us! 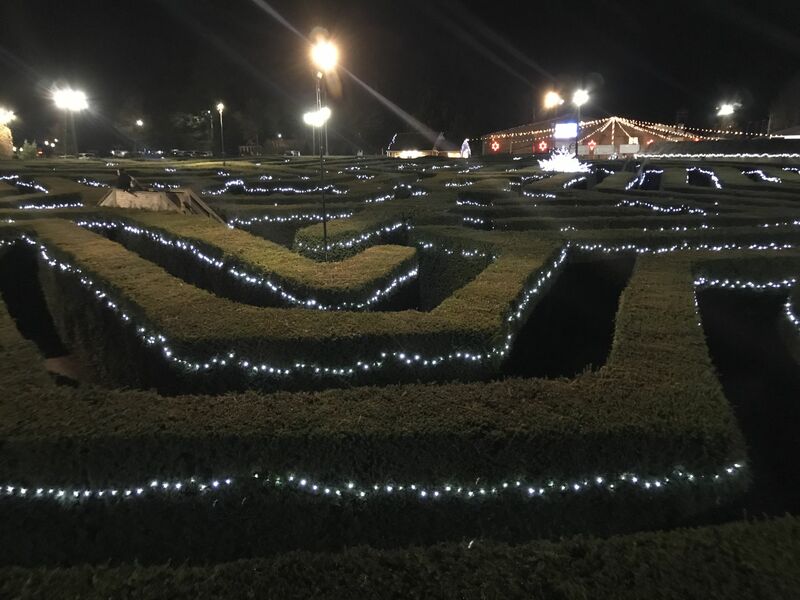 If you’re braver than us or better at staying together, the maze is very impressive, again with its quirky designs and spectacular lights it would keep you occupied for a while! Eating at Stockeld was also an easy and pleasant experience. The cafe had been popular all day, so I was a little concerned that we may have limited choice or may have to wait a while for our meal. 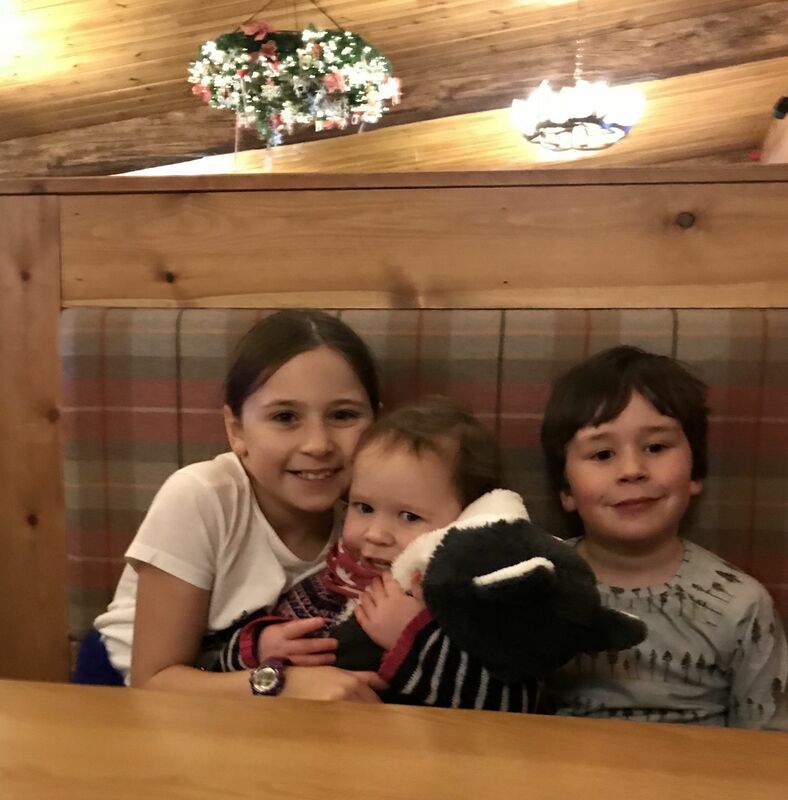 However our hot festive panninis and potato wedges with homemade coleslaw were ready in less than 10 minutes, in fact our kids complained that they hadn’t had time to play in the cafe’s play area before their food had arrived! The portion sizes were generous and the price was reasonable in our opinion, and considering the footfall in the cafe earlier the place was relatively clean and tidy. There is also a children’s menu available on their Winter Menu for smaller appetites. Next to the cafe is the very well stocked Christmas shop filled with pretty baubles, wreathes, throws, lights, snow globes and Christmas soft toys. Bear in mind that you can pay for different actvity options depending on which activities are appropriate/of interest to your family’s age group or needs. 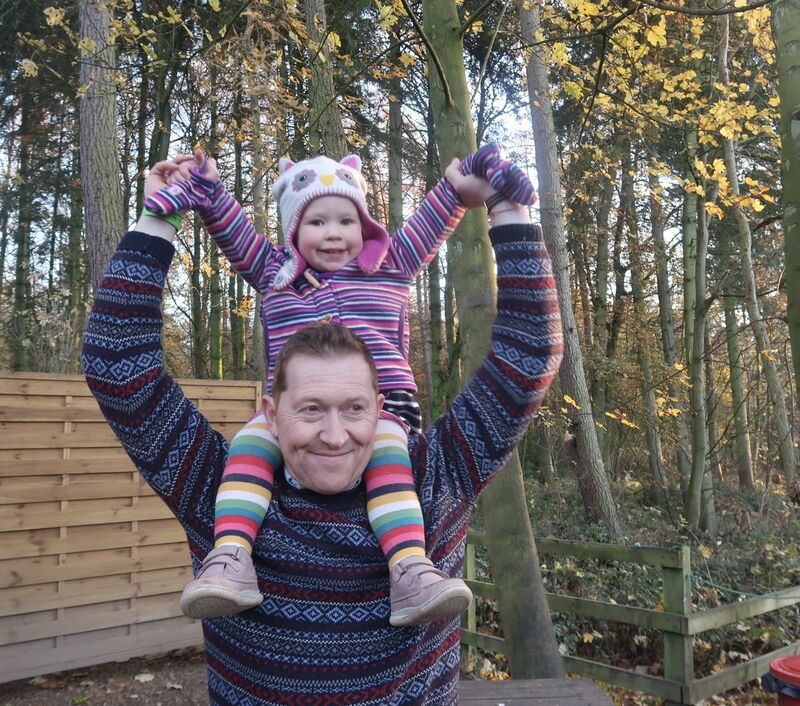 For this review we were gifted tickets to Stockeld Park in exchange for this open and honest review of our family’s experience. 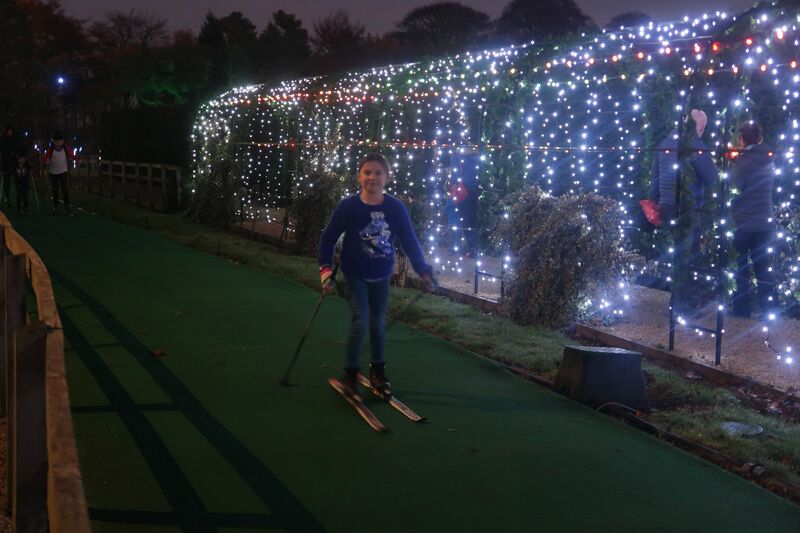 This review is my own thoughts and opinions and it was most definitely a festive experience to remember as well has given Daisy a new found love of ice skating. "Living Arrows 48/53 ~Feeling Festive"
"Hygge Home Decor This Christmas"